A young woman escapes a car accident and moves to a new town in order to play the organ, only to be followed by the strange feeling that someone is following her. 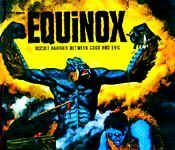 This classic from the 60’s is hard to describe with words for it does not impress so much as you’re watching it (it is mostly incomprehensible and rather lengthy at times). However, it does leave a very strange feeling behind, letting you accept that it was good after all. Following a car accident, a woman finds herself unwilling to go along with normal life, and socialize with people. Her frustration throughout the movie is contagious to the viewer. Scenes where she seems to be invisible to others are extremely stressful, if not cinematographically fascinating. Carnival of Souls is not so much about the story, with is both predictable and nonsensical at times, but more about the dark and oppressive atmosphere that it creates. Many times during the movie, I found myself comparing this mixture of incoherent scenes and troubling characters to what you can find in a David Lynch’s movie. 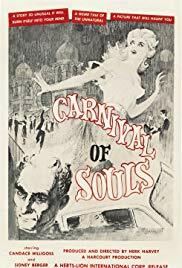 To be honest, I didn’t really enjoy Carnival of Souls at first watch, but then, a week or so later, it seems that I cannot forget it, which definitely makes it an interesting one in some ways.